After a couple months of heavy holiday indulging, it feels much better to be back on the clean eating routine. Another cooking-obsessed friend of mine got a couple of new cookbooks and this dish caught my eye. Obviously there could be variations galore, but this combo works pretty well. I can’t wait to make it again next week with some different fresh herbs and other veggies. DIRECTIONS: Add all chopped veggies and walnuts to a large bowl and toss to combine. Add quinoa and toss again. Then whisk together the lemon juice, olive oil, tarragon, salt and pepper. 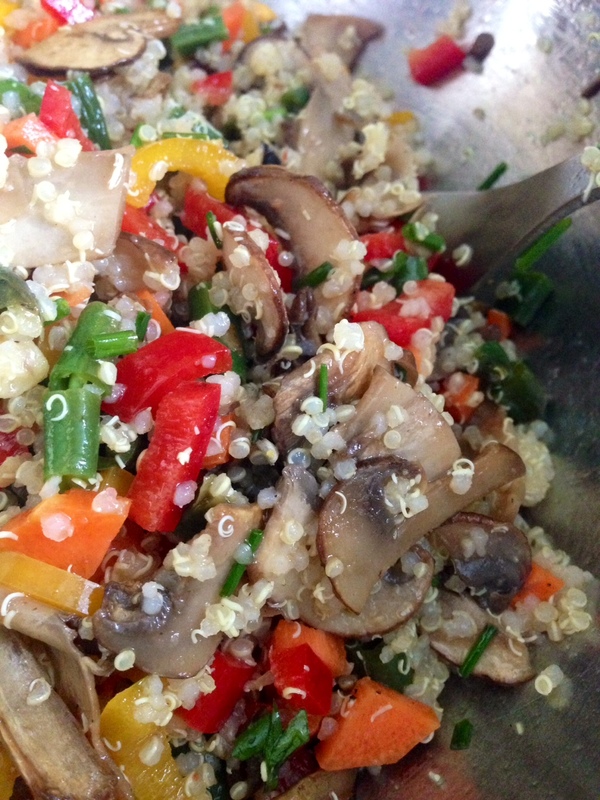 Pour over the veggie/quinoa mixture and toss well. Taste and re-season with salt and pepper to your liking. Serve room temperature or chilled. Enjoy! Yummy! 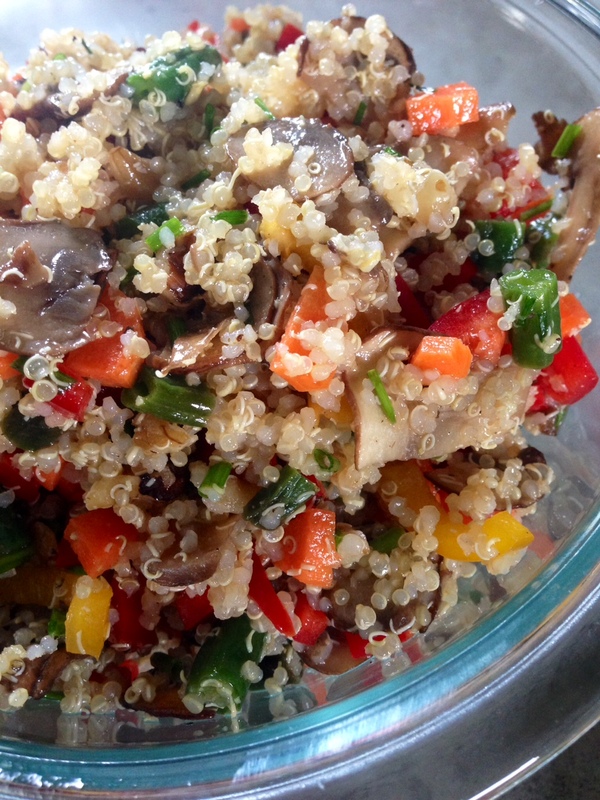 Love all the bright colors and anything with quinoa is good in my book.